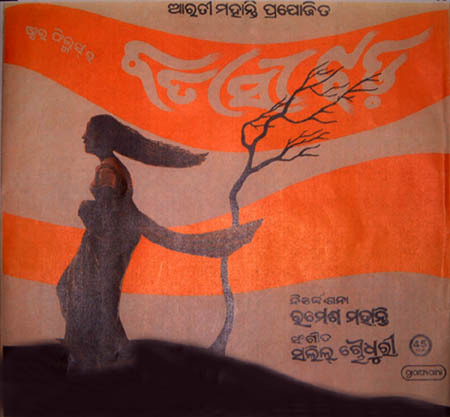 The only Oriya Film of Salil Chowdhury. Wonderful songs and it seems that our K.J.Yesudas can also sing in Oriya. This must be a record ! This film was produced by Arati Mohanti and Gathani released a 45rpm 12 inch record. For those of you who would like to take a trip to Cuttack to look for this rare record, the number is 45-GLP-1014.